You see a map that shows territory of Belarus, of Czech Republic, of Hungary, of Poland, of Romania, of Slovakia, of Ukraine. You can find here large city Lodz free download. large city Krakow download for free. You can find here city Lublin for Garmin. Displayed city Katowice download for free. Displayed city Ostrava presented. city Czestochowa presented. city Kosice presented. 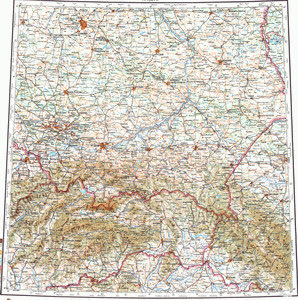 On this map city Sosnowiec marked. city Radom download for free. Displayed city Kielce marked. Displayed city Gliwice marked. On this map city Zabrze for Garmin. Displayed city Bytom for Garmin. city Bielsko-Biala marked. On this map city Miskolc for Garmin. Displayed city Rzeszow for Garmin. Displayed city Ruda Slaska presented. ↙Wisla Czarne - Prog wodny. ↙Dolzyca - Wdsp. na rz. Dolzycy. ↙Nasiczne - na potoku Nasicznianskim.